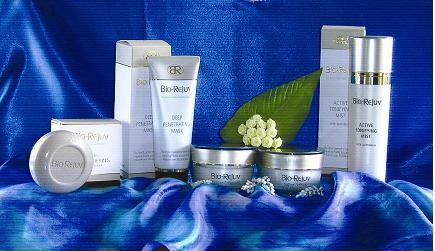 The Bio-Rejuv range of skin health products are indeed a new revolution in treatment and caring for skin. Suitable for all skin types and comprising over 70% active ingredients from nature, all Bio-Rejuv products have been designed to promote a normal, balanced skin. Carefully selected nutrients and essential oils have been combined with the highest grade colostrum (41%IgG) available, to provide organic compounds in their natural state which studies have shown significantly assist in the rebuilding of healthy skin. Combined with the unique essence of over 700 varieties of healing herbs and plants, these precious gifts of nature synergistically combine to bring harmony and balance to the skin. This can be felt within moments of application. ACTIVE TONIFYING MIST Bio-Rejuv Active Tonifying Mist takes the concept of skin toner to a new dimension. The fine mist boasts over 90% active ingredient comprising the essence of the 700 varieties of healing herbs and plants working to optimise the pH while toning the skin. DEEP PENETRATING MASK The Bio-Rejuv Deep Penetrating Mask sets a new benchmark in the field of facial treatments. Its unique natural structure and high organic concentration allow it to deep cleanse the skin in only six minutes. The composition of healing herbs and plants allow it to work in harmony with the skin discerning between the vital natural agents and unwanted wastes and toxins. This allows the pleasure of a remarkable level of skin purity while the delicate moisture levels and pH remain undisturbed. More than simply a purifying agent, the mask is most valuable for its contribution in triggering a chain reaction of natural processes within the deepest tissue layers to promote a healthy, balanced and glowing complexion. Used regularly it will assist the skin to achieve an optimum level of function providing the best defence against the aging process, resulting in a strong and radiant skin!